Starting with the most adorable festive slipper socks, how cute are the Reindeer slipper socks (full photo of them on my instagram here) They're honestly the most photogenic socks I've ever owned and they're the cosiest things ever. I was so surprised to realise they were only €5.49! Of course as soon as I seen them in store I had to snap up a pair because I mean, how could you not own a pair..or two! One of my favourite things about Christmas is wrapping gifts, I bloomin love it and don't understand anyone who lets other people wrap the presents for them. 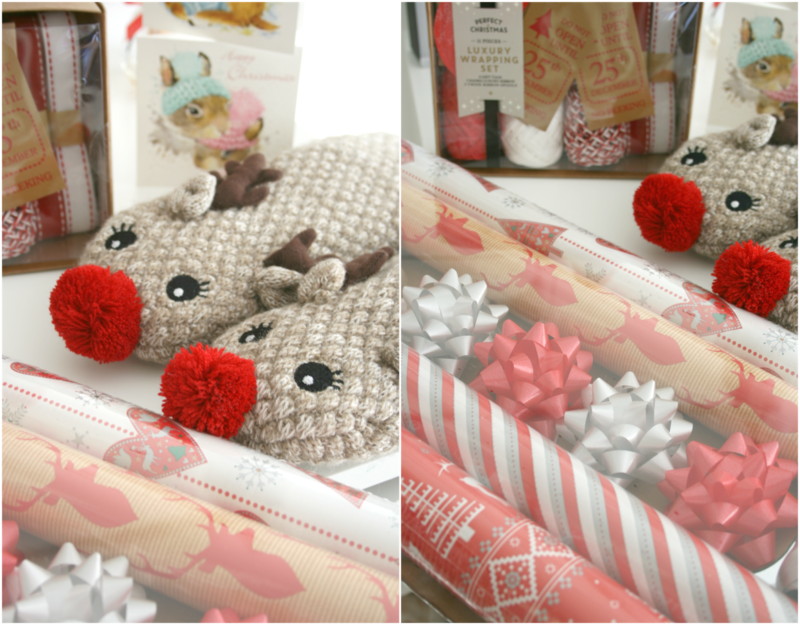 Give me all the wrapping paper and bows and ribbons, lock me in a room for a day and I will have the best time! This year as soon as I seen this gift wrap set consisting of four different style wrapping paper, bows, ribbons and tags I needed it. 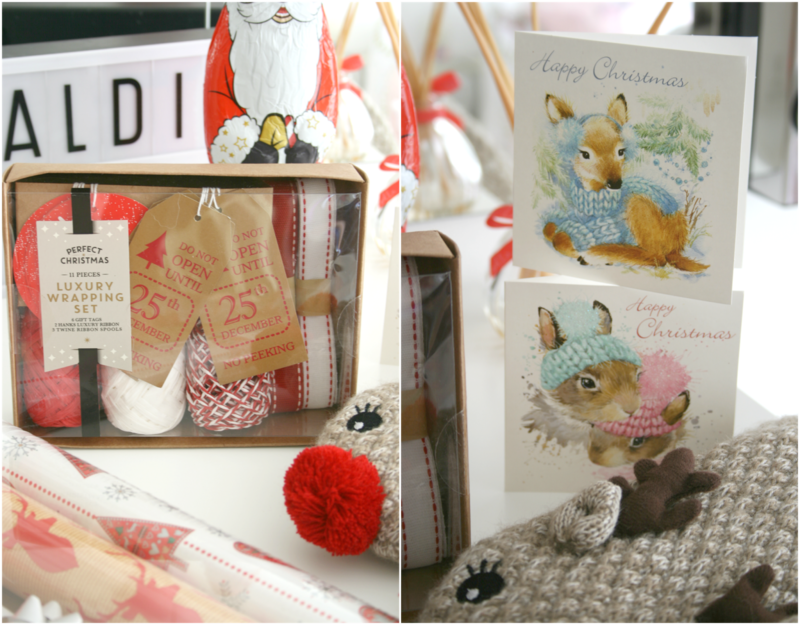 I mean just look at that Deer wrapping paper *heart eyes* This is the Woodland Fables Set and it only cost €4.99 like talk about a bloomin bargain. I absolutely adore these and I'm pretty obsessed with the Deer wrapping paper especially, I mean come on could you possibly think of a better fit for me!? I also picked up the Luxury Wrapping Set which consists of twine, ribbons and tags. I mean the main reason I got this one was for that ever so famous white and red styled twine but I will definitely use everything in it. I also love that you can buy everything all in one rather than having to buy each thing separately. They also had a few different variations of ribbon colours and twines so theres something sure to fit your fancy. This little set was only €2.99! I paid that price last year just for the red and white twine. Finally I couldn't go to the check out without picking up a Chocolate Santa, I mean it's just a must and for less than €2 I mean, it would be rude not to pick 1 up. If you've seen the Aldi Christmas advert featuring Kevin The Carrot they're selling a plush of him for just €3.99 which will be in stores Nov 24th and you can bet I will be the biggest child of all buying him! Yes I'm 22 years of age and I want that adorable Carrot sitting on my bed between my Bambi and Thumper plushes! I cannot wait to see what else Aldi bring out over the next few weeks as we come closer to Christmas! 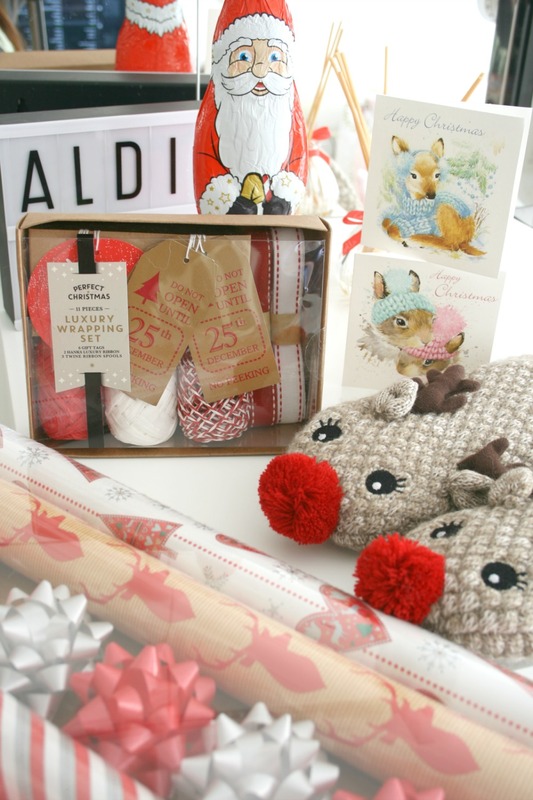 Have you bought anything from Aldi's Christmas range yet?